While flipping through the stack of cookbooks that I have borrowed from the library, I chanced upon this quick & easy-to-make cinnamon teacake recipe from this book. I love to browse through cookbooks from The Australian Women's Weekly series. The recipes are simple to follow and most of the time they are accompanied with beautiful illustrations...every single photo is shouting for my attention! After looking through the list of ingredients and the nutrition information, I was pretty set to give the recipe a go. The total amount of fat for each serving is 9g, which is even lower than that of a single cookie featured in the same book. It makes me feel less guilty to bake it , as I usually won't stop at just one slice of cake. It proves to be a very easy cake to prepare. I made it with just a mixing bowl and a wooden spoon. Of course you can use a manual whisk, or leave it to your electric mixer to do the job. If you are going 'manual', do make sure the butter is very soft before you start working on it...unless you don't mind working on your biceps at the same time. I got the cake into the oven within 20mins, which was 5 mins longer than the preparation time stated in the recipe. I will have to learn to be more efficient. Although the cake was not as moist compared to cakes made with 'moisturising-agents" such as yogurt, buttermilk, etc, I thought the taste was very delectable. The cake was rather light and I like the nice fragrant of the lavender. It's just a little on the sweet side for me...which is mainly due to the generous sprinkling of caster sugar on the cake surface. On hind sight, I should have added some lemon zest to kick up the flavour a little. So, what are you waiting for? Go grab your spoon and enjoy! I mean, go grab your wooden spoon and start baking! Preheat oven to 180 degC. Grease and flour side of a 20cm (8") round pan, line base with parchment paper. Sift self-raising flour, set aside. In a mixing bowl, with a wooden spoon or a manual whisk, beat butter and sugar till light and fluffy. Add in the egg gradually, beat well each time egg is added. Add in vanilla extract, mix well. Add in shifted flour and milk, stir with a spatula until smooth. Stir in dried lavender. Spread batter into prepared pan, bake for 25mins till the cake turns golden or until a skewer inserted into the centre comes out clean. I am glad that you see light at the end of the tunnel. Hang on there, you need to see the darkness of one being to see the goodness of another. eh.. where to get lavander for baking? those meant for tea will work? how about rose cake?? keke maybe should try it out. but need to simmer the flowers to enhance the fragrance?? I love ur blog for sure and I took to baking buns and bread aso thru your blog...remember the fabulous garlic buns you posted up some time back, since then I have baked it many times :)))and each time the texture of the dough becomes better. I knead with hands without a bread machine and I have learned a lot from your blog. Thanks. Precious Momemnts, I would rather see it at a different perspective...the act of kindness of one person can significantly improve another person's day. Hi Martina, your wrote good English, but I will love to hear from you more often! You can leave out the lavender and use cinnamon instead. Family First, thanks for your support and for linking me up! Sunsweet, my cyberfriend gave me a pack of dried lavender from Hong Kong. You can get them at Phoon Huat. I have not tried baking with rose leh. Hi Elinluv, thanks! You can leave out the dry lavender, the original recipe uses only cinnamon as topping. Hi HHB!! I have not drop by for quite awhile!! I'm currently busy with studies! Fancy studying at my age! I missed baking and your blog. Sad to hear about the copywrite thing. Anyway, I was just dropping to say hello and hope all is well with you. Ok, now back to my studies...Argh!! 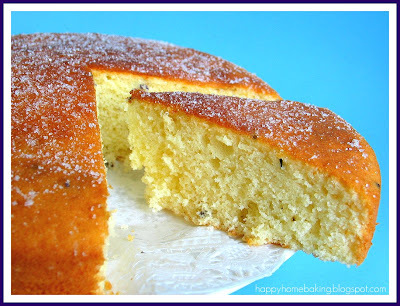 Hi, your cake looks yummy.May i know where to get dried lavender for making cakes/cookies? Hi Chris, I have seen it at Phoon Huat (the branch at Hougang), you may want to call up to check whether they have it. Hope you can get them. Hi, i love your blog and it is thru' your blog that encourages me to start baking after lay off baking for ages. Yesterday itself i tried your Lavender Teacake but it turned out quite hard. May be because i used organic sugar which is rather coarsely and it took me quite long to cream it with the butter. I didn't have Lavender so i used cinnamon powder and the smell of cinnamon is fantastic. What do you think of using organic sugar instead of castor sugar? Hope to try your other recipes. Thank you for your generous sharing and i must confess that before i start work in the morning, i must visit your blog. wow another version of lavender. I have yet tried the lavender cookies and here comes the lavender teacakes. Keep on blogging yah? I love to read your blog! Hi HMM...another nice recipe! i have some lavender sitting in my fridge, will give it a try when i recover from my flu! Hi HMM, thanks for the info.Hougang is kinda far from where i stay will try to check out the JE branch one of these days. Hello! I have a rather "silly" question, having to do with terminology ..... Since I didn't start cooking or baking till I moved to the US from Singapore, I'm not familiar with the term "Castor Sugar". Is it regular (white) granulated sugar, or powdered sugar (as we call it here, in the US)? Again, I'm in deep admiration of you and your attempts to cook / bake things from scratch. I can't imagine doing that in Singapore, as we were just there visiting family for a few weeks. That slice looks so tempting, HHB! Sorry I've been busy with Hari Raya baking and not been around much; I missed that last post. I hope you don't stop blogging and sharing. It's a pity that some bloggers do not adopt the necessary etiquettes when it comes to recipes, and in some cases, even photos. I do not know about organic sugar...are they very coarse? You will have to cream the butter & sugar till the mixture become very pale and fluffy before your proceed with the next step. Could it also be due to your oven temperature? Hi Chris, hope you can find it at the branch near you. Over here sugar that's labelled as castor sugar is very fine but not in powder form, whereas icing sugar is almost like powder (flour-like). You can go the SIS sugar (common brand here) website to take a look at the description (http://www.sissugar.com/consumer.asp). Hope you will be able to get something similar over at your location. Hi Cheyenne, so sorry to hear about the 'disaster'! I will be very very moody if this were to happen to me :( You can try put some baking soda in a bowl and leave it in your fridge, it can help to remove the smell. Hi HHM...guess wat...i try out ur recipe already :D is fantastic! thanks for sharing.. I just ate a nice dessert made by my Filippino maid and thought it might be nice to share with you. It is really easy to make. 1) Mix 1 part sweet condensed milk with 3 parts liquid cream. 2) Slice thinly mangoes (or can also use slightly green bananas). 3) Square plain biscuits (like Khong Guan) - the more flaky and fluffy, the better. A) Using a box, preferably square or rectangular with a flat base), scoop a few spoonfuls of 1) to cover the base. B) Cover with a layer of the biscuits. C) Next, lay a layer of the mangoes/bananas. Then scoop a mixture 1) to cover. Repeat steps A), B) and C) 2 times. At the top, break some biscuit crumbs to cover (ala oatmean style). Cover box and freeze in freezer. Cut and serve. The complete product resembles a fruit tart. keke, Australian Women's Weekly series of cookbooks are also my favourite .. like you say, they are easy to follow, simple recipes and most impt, tempting pictures. I simply love cookbooks with big colorful pictures. Sometimes, after looking at some of your bakes, I went to look for those books too, but some of them without much pictures so I did not borrow thus 常常走宝。keke。 Luckily can still find the 宝 through your blog. Thanks. Sorry, borrow your comment column to ask you question. The recipe that I used for cheese muffin stated "grated cheese" as ingredients. I wanna ask, with your experience, any idea what kind of grated cheese should I use? Those "fresh" grated cheddar cheese found in chilled shelves, or those dried grated cheese ? Peng, glad to hear that this recipe works for you too! Sherlyn, I am sorry, I have no idea whether it is referring to freshly grated ones or the dried ones leh?? Hi HHB, I was very inspired by your blog and your baking that I took to baking again. I had also created a blog and cited your blog (with the link). Hoped that you won't mind. Dexter. Hi! I am just starting up my blog, and I wondered how you framed your photographs like that? Are you using a special program? where have you been all my life ? your site rocks everything looks so delicious and tempting it was so unfair but so beautiful thank you for having me on your site . if you want you can email me. What a lovely sounding cake! Very delicate and delicious sounding! 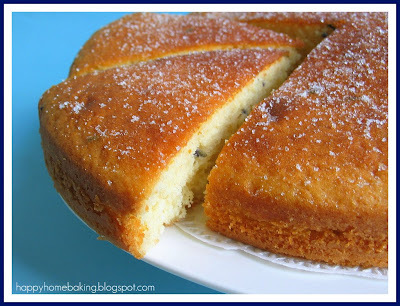 I have baked with lavender only once so far, so I'm interested in new recipes with it. This is calling out my name! Wow, this looks amazing! Thanks so much for sharing. This sounds good. I have yet to eat anything made with lavender. I seem to be saying this a lot lately! Anyhow, photos looked terrific as well. I tried baking lavender teacake. Didn't have lavender so just sprinkle with icing sugar & cinnamon. Was nice! 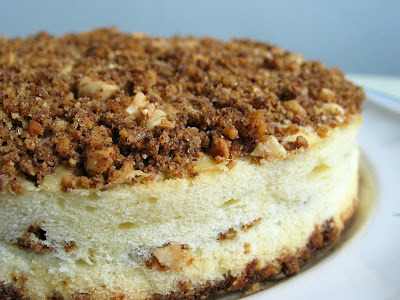 But my cake didn't bind well..was loose..lots of cake crumbs. Any idea why? May I know how shld my batter look like? Smooth without crumbs or lumpy? I just folded in the milk & flour w spatula and didn't whisk further cos afraid might over-stir. So my batter was lumpy and the top cracked when baking. Any suggestions? Thanks!! what kind of milk you normally use in your recipes? Is there any substitute if i don't have any fresh milk in my fridge? for the milk substitute. Hope this helps. I would like to find out if icing sugar and caster sugar is the same? Hi Grace, they are different. 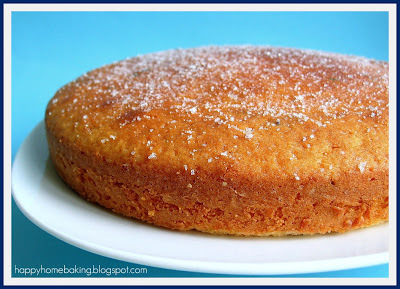 Icing sugar is very fine and looks like flour, whereas caster sugar is extra fine granulated sugar. I did this cake and it turn out amazing! Thanks for sharing! I am one of those who got inspired by your blog and re-pick up baking back after a long break (especially after I start working). However, my baking skills are still far from yours. I followed some of your recipes and compared my bakes to your photos. Think I still have a lot to brush up. I started baking 4 years ago, you should have seen those things I made in my oldest posts. My photos were horrible and the bakes didn't look anywhere appealing! It was thru constant baking that I acquired some baking knowledge and skills, and all thru books and internet, everything is self taught. I am sure very soon your bakes will be better than mine. I have already sent my baking fairy to you, happy baking! I admit I am a bit slow and blur in learning. Your self-taught through books and internet and sharing with us on your blog will definitely serve as a good motivation! Hi, is ur butter salted or unsalted? I can't get vanilla extract can I replace it with vanilla essence instead? Wat is the diff? A new D-I-Y learning to bake stay home mum. Hi sherene_ctong, I used salted butter for this recipe. You can use vanilla essence, the difference lies in the flavour and aroma.